LM Productions, with Tavolanostra, travelled to Angola to create a breath-taking national event to celebrate Angola's culture and history. 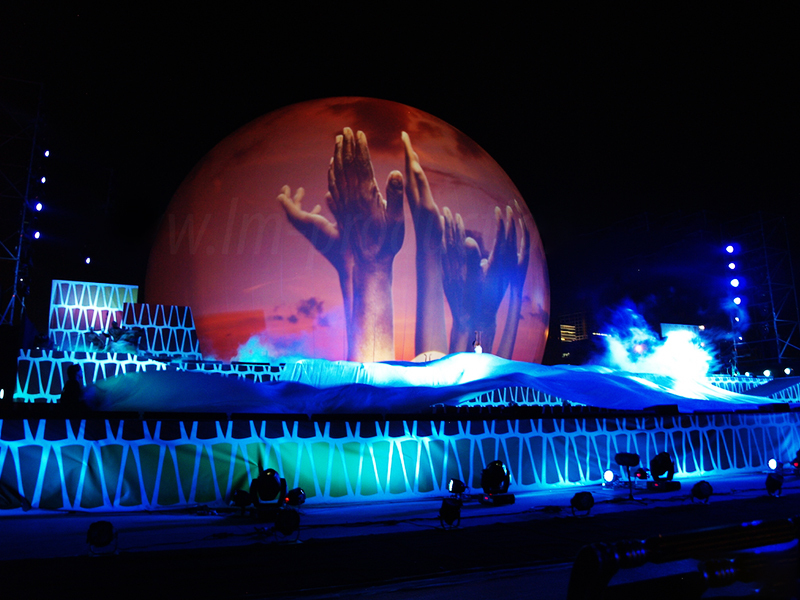 Embedded into a 33m outdoor stage, our 25m StratoSphere was used as an impressive projection centre-piece. Towering above the performers, the StratoSphere displayed background content which brought the scenes to life, as well as displaying exciting live footage for pivotal moments. We also used a large water screen which became an integral part of the show, acting as a second projection screen as well as providing a variety of impressive water effects. The awe-inspiring live performance, combined with super-bright projection, beautiful water effects and a fantastic firework finale, made for an awe-inspiring and truly magnificent show.